No. 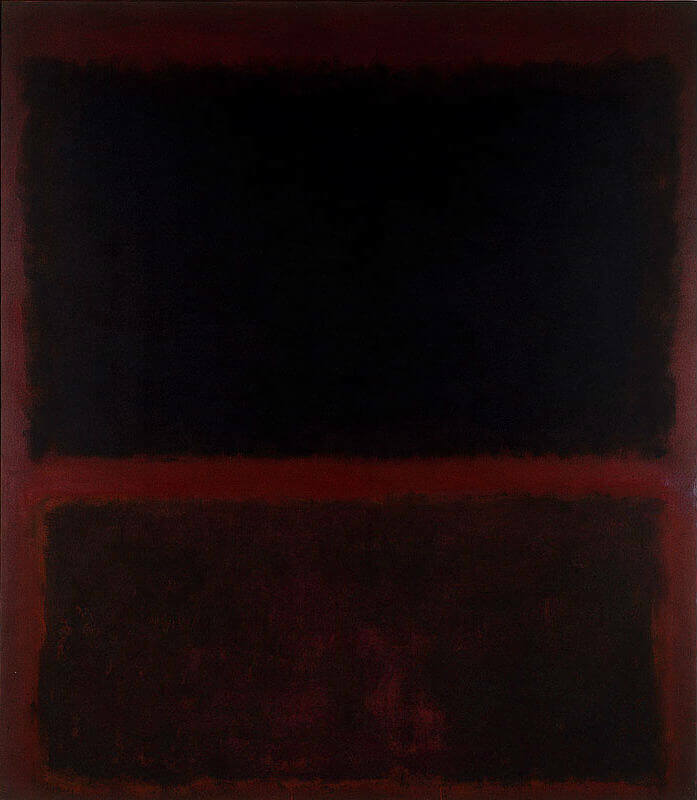 12 (Black on Dark Sienna on Purple) is part of Mark Rothko's mature body of work known as "multi-form paintings," in which bands of densely ambient color in contrasting hues and values float on the canvas. No. 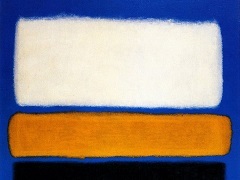 12 reflects the artist's turn towards a more somber color palette; the muted, almost cave-like painting features two rectangles, black on top and sienna below, surrounded by a purplish border that appears to sink the shapes rather than float them. Despite its darkness, the painting possesses an extraordinary contemplative depth and embodies the spirit of an artist who stepped forward to confront the emptiness of modern life with his work.